Hook Norton Brewery will be celebrating the old and the new at their Open Tap evening on Wednesday 10th May 6pm – 9pm. 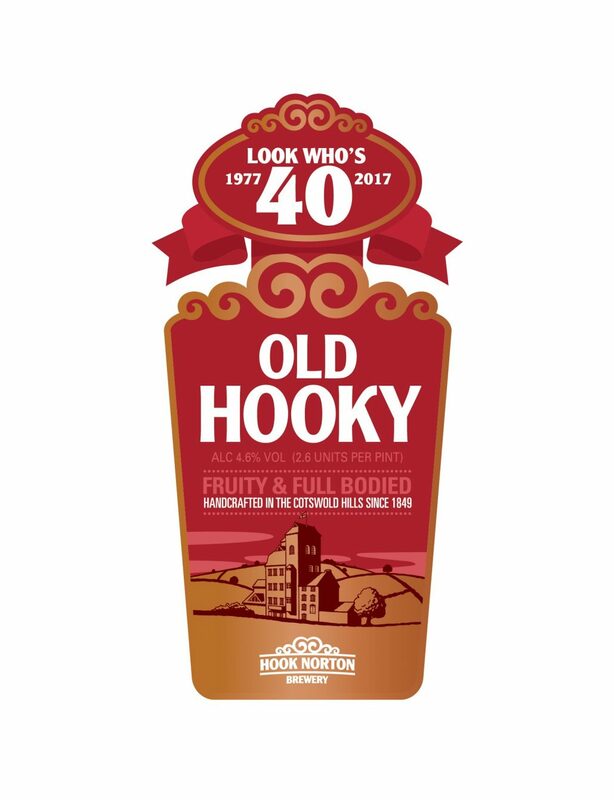 Celebrating 40 years since it was first brewed, Old Hooky 4.6%, will be the star attraction. Fruity and full bodied this beer is a consistent and quality cornerstone of their core range. Enjoy free samples and a variety of Old Hooky themed nibbles including Old Hooky Cheese, sausages and pies. Lining up alongside will be its crafty cousin, 168 (6.8%) brewed in the pilot plant, this experimental ale was created to celebrate, well, 168 years of brewing at Hook Norton Brewery. The brewers will also be on hand to give the lowdown on how they create their ales and the ways and workings of the brewery and all things beer. 168 will be on the bar at the brewery, in Hook Norton pubs across Oxfordshire, Gloucestershire, Northamptonshire, Warwickshire and Worcestershire and will also be available to be selected for the free trade. Handcrafted in the Cotswold Hills since 1849, Hook Norton remains one of only 29 independent family-run breweries. With the founder’s great great grandson, James Clarke, still at the helm, Hook Norton continues to offer a wide range of award winning ales, including Hooky, Old Hooky, Twelve Days, Double Stout and Red Rye Old Hooky, Hooky, Twelve Days and Double Stout. Hook Norton Brewery has a visitor centre, meeting rooms, café, museum and offers brewery tours and tastings. Please visit www.hooky.co.uk for more information.